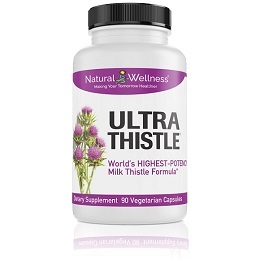 UltraThistle® - The world's highest potency, most effective milk thistle. Scientifically proven to be up to 10x more absorbable and up to 20x more effective than standard milk thistle formulas. 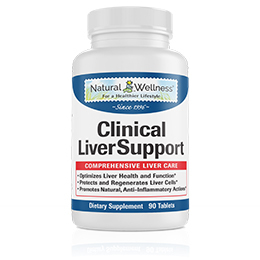 Clinical LiverSupport™ - Provides total liver protection to optimize your liver function and meet all you liver needs. 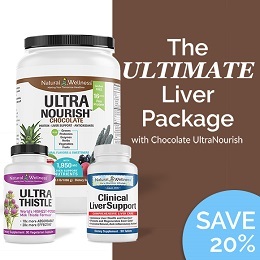 UltraNourish™ - The ONLY superfood shake that also focuses on your liver. Three flavors are now available - Unflavored, Chocolate and Vanilla Chai. 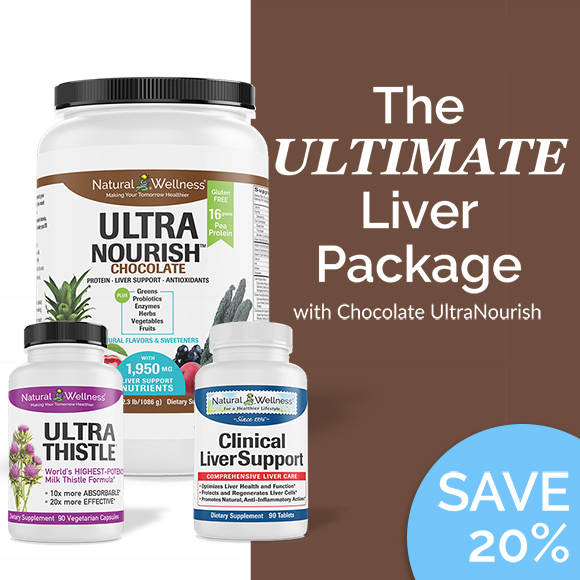 Try Ultimate Liver Protection Package risk-free for 90 days. If you don't love it, simply send it back for a full refund. No questions asked - For first time orders, we'll even pay for the return shipping. Milk thistle is the #1 recommended natural herb for liver health, confirmed by hundreds of clinical studies to protect your liver against virtually all types of damage. Scientifically proven to be up to 10x more absorbable & up to 20x more effective than standard milk thistle formulas. 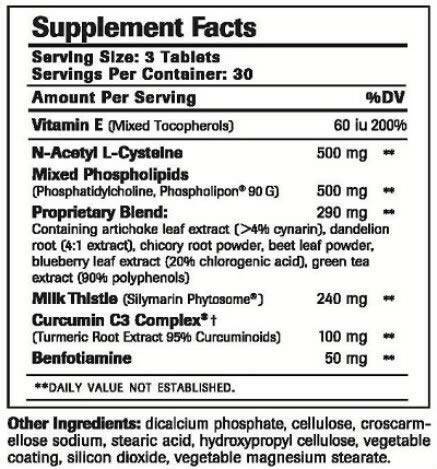 Per serving, the most potent and cost effective milk thistle product. See the comparisons! 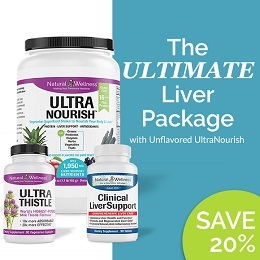 Contains a unique blend of 12 powerful liver-protective supplements, including: Milk Thistle, Phosphatidylcholine, Curcumin C3 Complex®, NAC, Vitamin E, Blueberry Leaf, Artichoke, Dandelion and MORE! What Makes UltraNourish™ Stand Out From the Competition? UltraNourish contains the protein, fruits, vegetables, fiber, antioxidants, probiotics and more that are missing from your daily diet, in the proper amounts to provide you maximum health benefit. Altogether, there are 43 specially picked superfoods and essential nutrients in every scoop of UltraNourish. Using natural flavors, stevia and organic cane sugar, Chocolate UltraNourish and Vanilla Chai UltraNourish are delicious alternatives for those wanting to simplify their shake-making routine. Just add water or milk, shake it up, and you have a delightfully healthy shake ready in seconds! Thank God I found something that has no artificial sweetness! The taste is similar to a fruit and vegetable powder supplement. I heard all those reviews about taste and was terrified. I said why not just go for it. I did and it was not that bad. I mixed it with my meal replacement shake and it was wonderful. It really has benefitted me in digestion (less bloatness), keeping me hungry free for a couple of hours and also knowing it helps my fatty liver. Give it a chance and you won't be disappointed. After all what is a little weird taste, over health. 1 month and ready for more months to go. [Clinical LiverSupport] is an outstanding product, but my last physical I had some fatty tissue surrounding my liver. My GI Tract doctor suggested this vitamin to me because he said it had done wonders for people who consumed alcohol and, since I am a NON-DRINKER, he still suggested I try it. Therefore; after only one month, I had blood work done to check my liver count and.... guess what???? IT WAS PERFECT ..... right between the high and low numbers which I think are 15-35 and, my count is 27 !!!!! Wow... does this vitamin supplement ever work. My Dr. was blown away that it acted in such a short period of using it. I take three a day and, I do not even drink alhohol! Think about what it would do for those of you who enjoys to drink???? It could save your life! I was diagnosed with enlarged liver and all doctor could prescribed was Prilosec...no way! Anyway found this Liver Support and can't believe how all my digestion problems have gone away in 2 months of using this product. My liver is happy again! No more sleepless nights, no heartburn, no noises in the gut, regularity is back, energy is back and feel 100%. Easy to mix - banana, peach yogurt, orange juice, ice and got my drink. Even my son is drinking it to help with his digestion issues. I have become a believer in this product! My husband has liver cirrhosis from Hep C with significant weight loss the Ultra Nourish has been helping him regain his strength back. He has a shake every morning. I'm glad I found this product and love that it's made with pea protein. 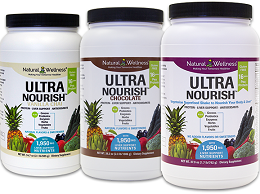 I began using Ultra Nourish shake/powder less than a month ago. I originally purchased it because I was looking for a shake comparable to Shakeology and saw a comparison that ranks Ultra Nourish as better...so I thought I'd give it a try. 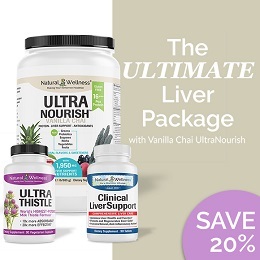 I really like the idea that Ultra Nourish was aimed at supporting the liver (though I don't have liver disease). I admit that the taste is not great - but since I have used green drinks for many years, I knew this would be the case. I simply mixed the powder with another nutritional chocolate shake mix: Purely Inspired plant-based protein (http://www.amazon.com/Purely-Inspired-Protein-Artficial-Sweeteners/dp/B00SYZBFQQ/ref=sr_1_3?ie=UTF8&qid=1449312657&sr=8-3&keywords=purely+inspired+protein+powder) and that seemed to be palatable enough for me. Earlier this week, after taking a good look at myself in the mirror, I realized that I LOOK healthier - better skin color, skin tone, etc. and I can only attribute this to the Utra Nourish shakes as I've changed nothing else in my diet or hectic daily routine. Ordered my second canister this week. Hopefully with more attention to my overall diet, I'll begin to shed some weight (as well as looking healthier). I can say that the Ultra Nourish shakes subdue the appetite so that is helpful. In all, I really like this product and will continue to purchase! I was looking for a protein powder comparable to what Dr. Junger sells (only more affordable) for a breakfast meal replacement shake. I compared a LOT of labels and decided to try Ultra Nourish as it seemed most comprehensive. Once I learned how to spruce up the flavor (with vanilla or almond extract, stevia, fruit) I really grew to love this product. In fact, I went on to try other protein powders that were flavored (french vanilla, etc.) and I find them WAY too sweet and artificial tasting. Every morning I make a shake with the likes of almond milk, ultra nourish, fresh greens, frozen or fresh fruit, and ice and it is delicious and satisfying. I've been doing this for about 8 months and it feels great to start your day off in such a healthy way. Try it but don't give up at the first taste - let yourself get used to the flavor and find ways to make it delicious. After doing some research I decided to get Ultra Nourish for my husband to try. After a four year battle with cancer he still has not recovered his appetite and struggles to eat a healthy balanced diet. Taking supplements did not seem to provide any noticeable benefit and doesn't really provide a "balanced" diet, just a lot of nutrients. Initially I was afraid that the taste was going to be a problem but we found some recipes on the companies website which he tweaked a little to get a variety of shakes which he drinks for breakfast every day. He particularly liked the yogurt and banana shake. After less than a month he generally felt better, more energy, and he looks better than he has in years. We will have to wait and see if he gains any weight with the use of this product but either way it seems to have helped. We purposely made UltraNourish unflavored and unsweetened so that you, the customer, would have complete control over what you want it to taste like, based on the ingredients you mix it with. UltraNourish on its own doesn't have the most pleasant taste. Since it is packed with so many greens, protein and grains, we recommend mixing it with your favorite juice, shake or smoothie. There are several UltraNourish recipes you might wish to try out on our website, www.NaturalWellness.com/shakes. We are currently in the process of testing out some different flavor options for this product, which will definitely help with the taste. So stay tuned! 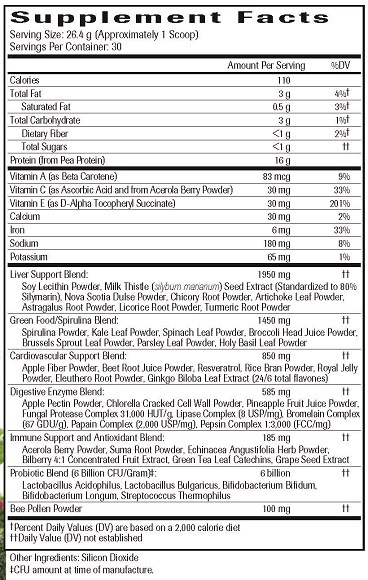 I really liked the fact that you can have all these great vitamins, supplements, minerals, and enzymes all in one protein drink mix. The only issue I had is that I was allergic to one of the ingredients - barley. I would definitely but this product again if they decide to make this product gluten-free. 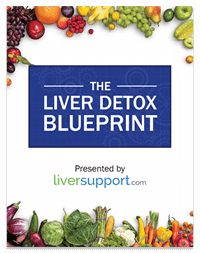 Otherwise, I think this is a great product for anyone with liver dysfunction or disease. Really like this powder. It takes a little getting used to, best mixed in a smoothy or juice but I do notice more energy. I haven't had blood work done to see if it has any effect but my blood pressure has dropped a good bit. i didnt really like it was to strong for me too much of a distinct taste. I have Hepatitis C, genotype 6. Since using Clinical Liver Support, my AST and ALT levels have actually improved, even though I am not getting medical treatment for my condition. I'm updating previous review. After 2 1/2 weeks use I look forward to my daily UltraNourish shake. I'm pleased with the results I am getting ( a more regular daily digestion process with less discomfort.) Tried a shake using V8 Veggie Blend which is naturally sweetened. Still tastes green, but it's a good match. I like it. I immediately noticed gut-friendly sensations after drinking one UltraNourish shake! The second day was similar. After only one week using this product, my whole digestive/elimination process has improved and I have gained energy as well. My weekend rest/recovery period after a week of work was shortened and I am comfortably pursuing my physical workout regimens with enthusiasm. I am 59, HCV+ with cirrhosis for over 10 years (diagnosed). This is a very good and easy to use product and I highly recommend it. Oh yeah, the taste. I'm already accustomed to green superfoods earthy taste. This formula tastes green and earthy, but at least it doesn't have any bitterness or flavory adds attempting to mask the flavor. I like a blended shake, 50/50 almond milk, either vanilla or dark chocolate with regular dairy 2% milk so it's not too sweet. Don't listen to those bad reviews! Here's some perspective! Just got my Ultra Nourish same day! Amazon is amazing! Pretty bummed about all the bad reviews, but I got it anyway and I'm pleased. Let me shed some light on some of those issues. 1) If you complain about the taste, you clearly have no experience with "Superfood" style shakes. Superfood does not cater to flavor at all, and usually never attempts to. Its more about feeding your body, which is the whole point! 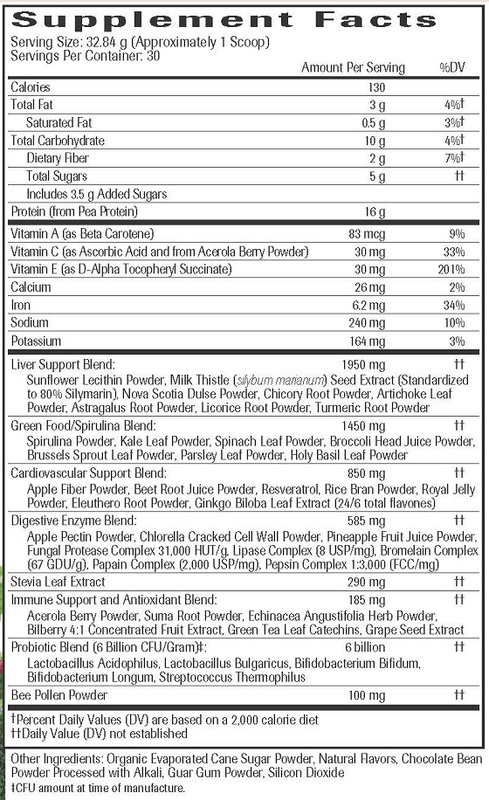 Plus the directions for Ultra Nourish clearly say to mix it with your favorite juice or another shake to help with the taste. I had no issues when I did. 2) The Prop 65 warning is a load of bull that they put on literally everything these days for the most minuscule reasons. In Ultra Nourish's case it is a warning for the naturally occurring heavy metals in plant matter. If you are concerned about this there is plenty of literature online. But this is FDA approved and safe. I'm glad I didn't listen to the negative reviews and I hope this puts things into perspective for future buyers. I'm happy with my choice! Cheers! My Dr was familiar only with milk thistle. Of course, he urges me to get a liver biopsy to see where things are at so far as fatty liver and my HepC, genotype 6. I am not taking any other medication for my chronic condition and cannot afford the $1000 per day pill that is on the market touted as a "cure." My blood tests did show an improvement in either my high AST or ALT levels (don't have the results handy) and I am holding my own in all other areas of liver function...either staying the same or very slight increase. I attribute this at least in part to the product I take, Clinical Liver Support. I was happily surprised by how much I enjoy UltraNourish. I've been drinking it for about a month now and I really look forward to preparing it and drinking it each day. I like that I can customize the flavors I mix with it so that there is some variety because I get bored drinking the same thing everyday. I will absolutely recommend this product to everyone! I am terrible with eating vegetables and other healthy foods, quite frankly I hate them. So knowing that I'm not the healthiest eater I decided to give this UltraNourish a try and mixed it with milk and chocolate drink mix and even some of the chocolate protein drinks and thought it was great. Hey, my additions might not be that healthy but it tasted great and I was getting better nutrients and liver support than I usually would. I started with just a half scoop for each drink as it took a little getting used to at first. While I'm usually drowsy, especially in the mornings, and fall asleep while driving, when I started drinking these shakes I didn't feel drowsy anymore. Plus I had the added benefit of being more regular YAY!!!! 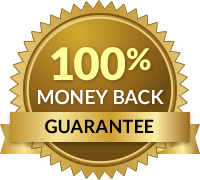 I gave CLINICAL LIVER SUPPORT a 4-star on very timely product delivery, quality of packaging and the quality of the product itself. Since I've just started using the pills, I haven't had any "adverse side effects" which would always be a concern for a 1st-time product. I seem to feel better in a "lighter sort of way". Perhaps, this is a cleansing effect? My guess, I'll have to wait and see how my next Doctor's visit goes if he orders another blood test to see what's happening inside. If this product shows clinical improvements, then my rating will be 5-stars...I'm hopeful. 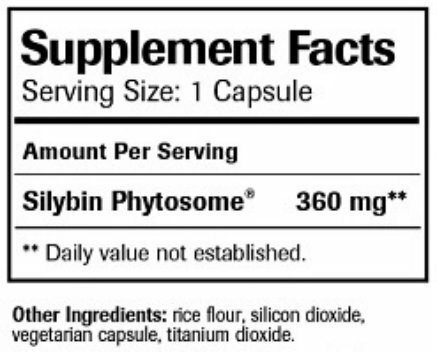 Take three tablets once per day 30 minutes prior to eating or as directed by your medical professional. Each bottle includes 90 tablets - a one-month supply.Take three tablets once per day 30 minutes prior to eating or as directed by your medical professional. Each bottle includes 90 tablets - a one-month supply. Please consult with a healthcare professional before starting any diet, exercise or supplementation program, before taking any medication, or if you have or suspect you might have a medical condition, are currently taking prescription drugs, or are pregnant or breastfeeding. For maximum health benefit, UltraNourish is unflavored and unsweetened. 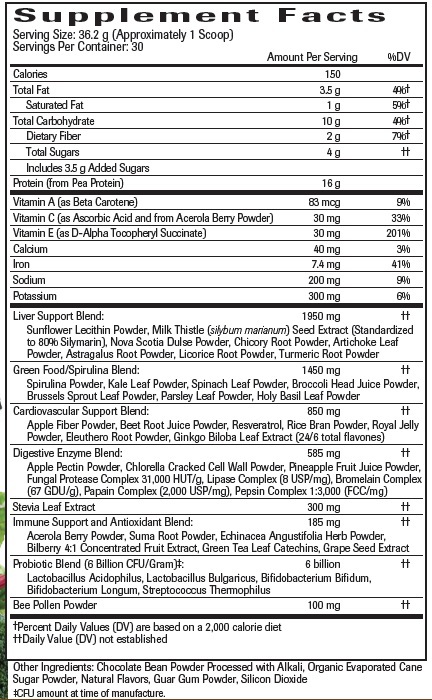 Due to its high superfood content, we recommend mixing 1 level scoop of UltraNourish to your favorite shake or smoothie. Intended to be taken once daily. For tasty shake recipes to use with UltraNourish visit https://www.naturalwellness.com/nwupdate/category/recipes/shakes/. Simply mix, shake or blend Chocolate UltraNourish with water or your favorite milk. For a different spin, try adding fruit, greens, superfoods, boosters, spices, ice, and more to make smoothies that are as unique, delicious, and super swanky as you are. Also, intended to be taken once daily. 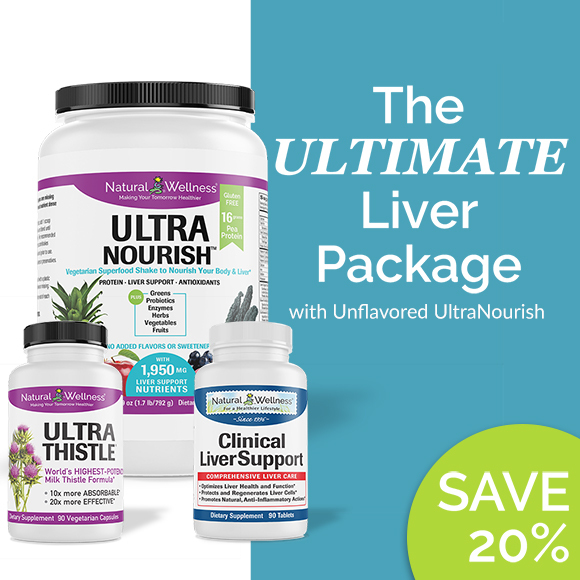 Ultimate Liver Protection Package is MANUFACTURED in the USA to meet FDA strict current Good Manufacturing Practice regulations (cGMP).